REFUSE RESIST REVOLT brings together two prolific graffiti writers for an impactful showcase of new artwork from Jaber and Aware. An underground culture born out of the need to question authority, graffiti has always been a way for the marginalized to stand out – to be seen and heard. These roots of questioning authority are a driving force in the messages Jaber and Aware have set out to share. 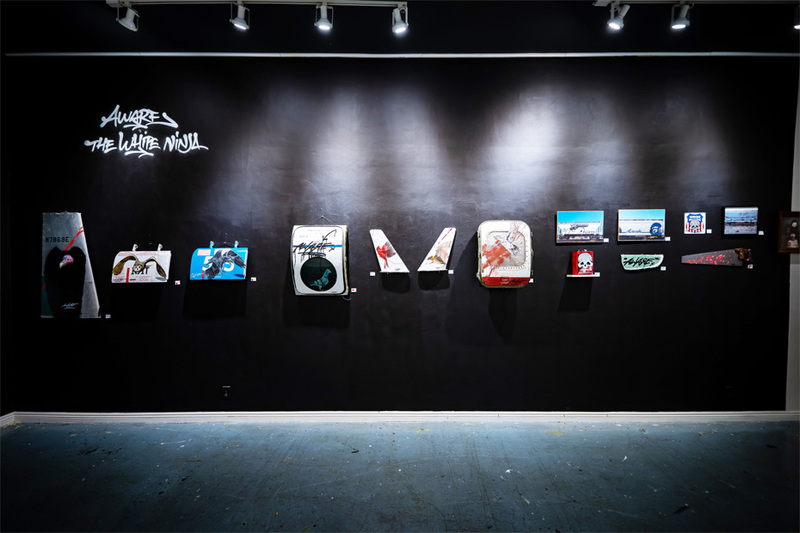 The anti-authoritarian theme of Refuse Resist Revolt is a commentary on the current moral and political climate of our country expressed through art. Works by The White Ninja, a.k.a. 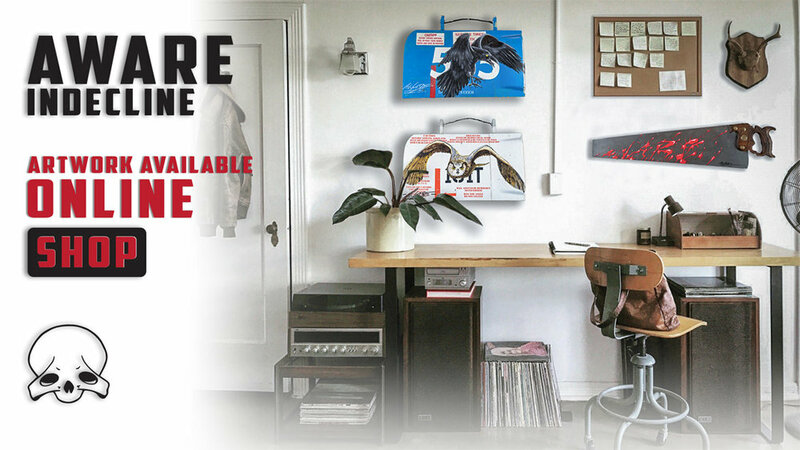 Jaber, and Aware from Indecline, will reflect the Executive Branch of the Government and how society perceives freedom in the United States. 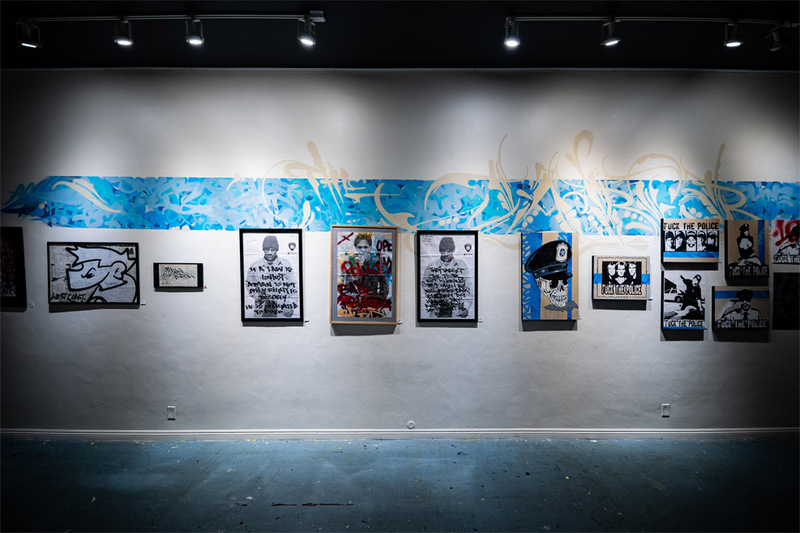 The collection of art will include raw unrestrained paintings depicting how law enforcement abuse their power, to sarcastic takes on Johnny Law, to communicating the view of freedom through the eyes of graffiti writers who have been questioning the system for decades. AWARE, an American artist often associated with the political street art group, Indecline, has produced work that can be seen throughout the world. 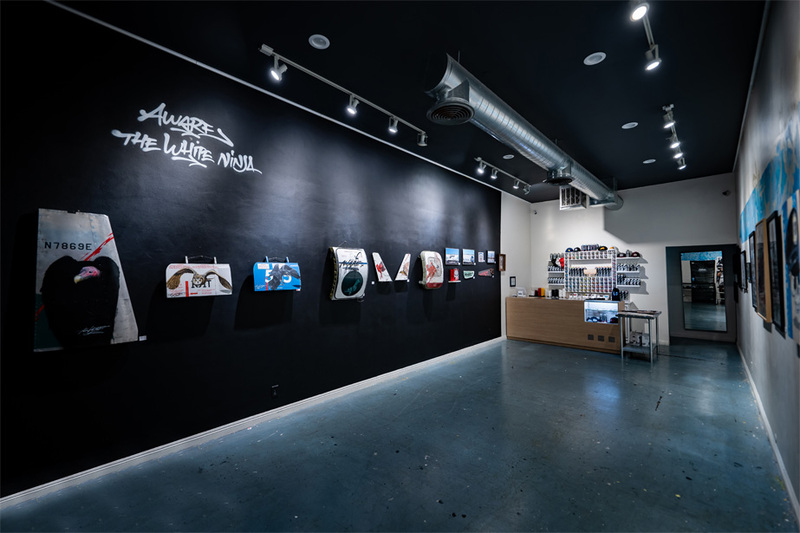 A graffiti writer with a cause, Aware dedicates the majority of his time to display street murals containing social and/or political themes in order to bring awareness to the marginalized. Though he is trained in many mediums, Aware typically prefers aerosol paint. 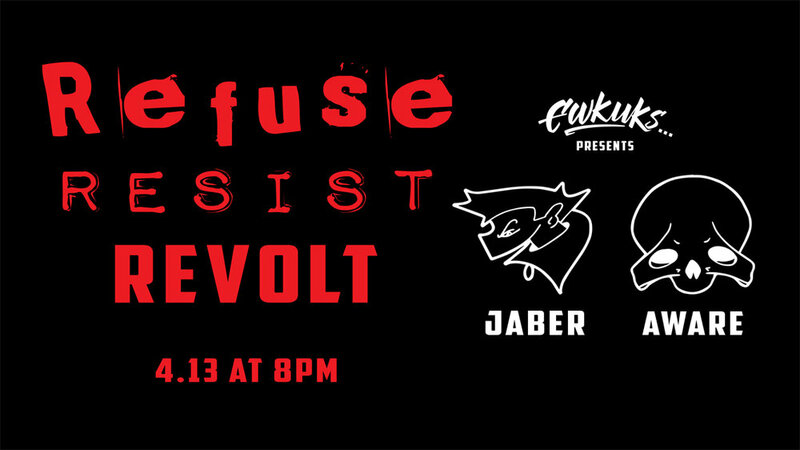 Please join Jaber and Aware at Ewkuks for the Opening Reception of REFUSE RESIST REVOLT with refreshments, New Original Artwork, Collab Apparel, and Limited-Edition prints. 1st Ten People get a FREE goodie bag!! !